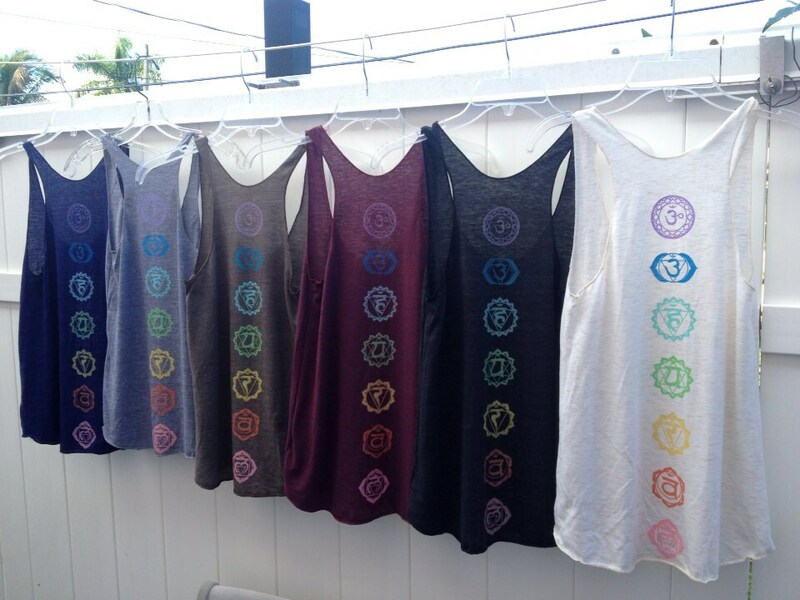 Δ Rainbow CHAKRAS design silk screened by Grizzy. 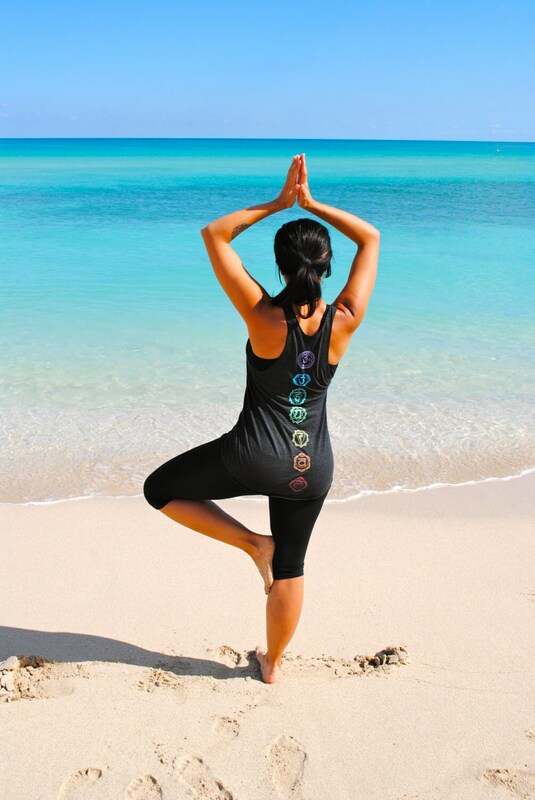 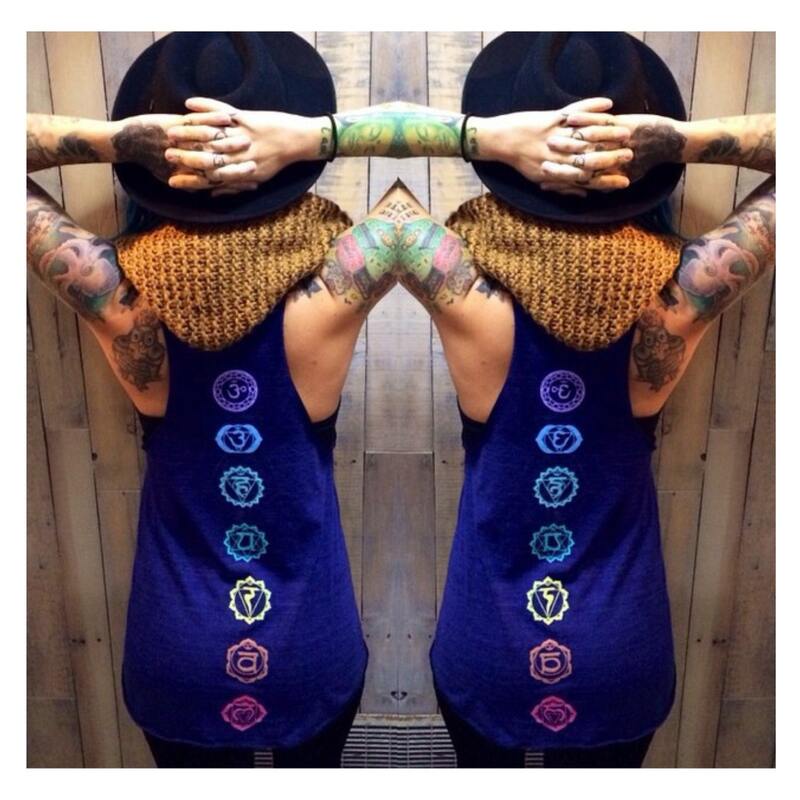 Δ Chakras run along the spine on the back of the tank top. 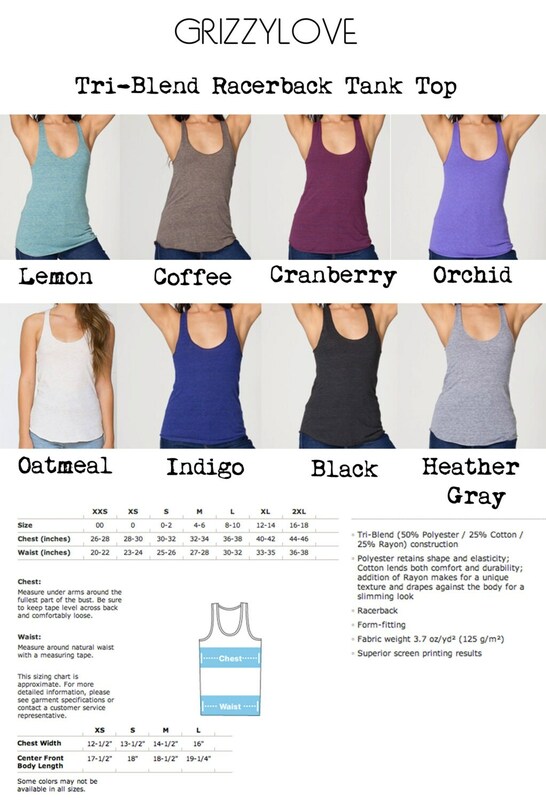 Δ Available in X-Small, Small, Medium,Large, XL. 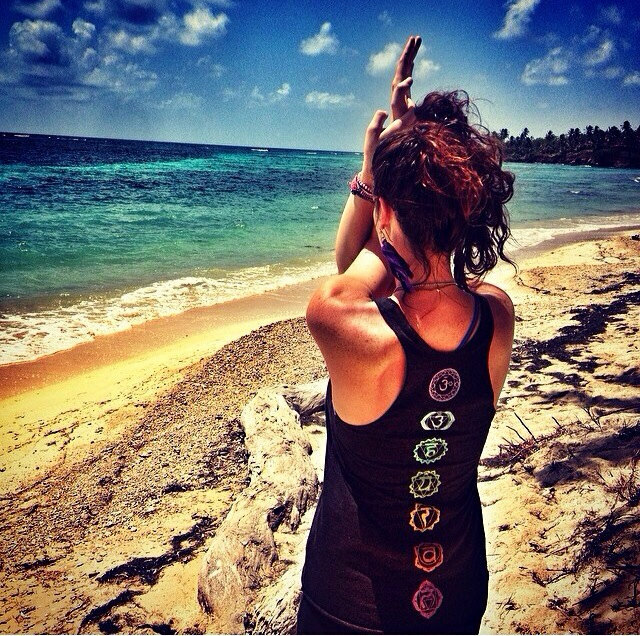 Tri-Blend Black, Indigo and Cranberry with Rainbow Chakras print.